SIM-free model coming by the end of October? 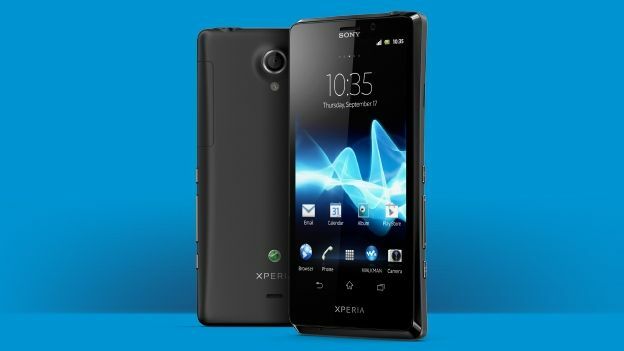 So far Clove and Unlocked Mobiles are listing the Sony Xperia T at £408 (inc. VAT) and £415 (inc. VAT) respectively. Unlocked Mobiles state it expects the handset to arrive in early October. Sony hasn't released official pricing details or a UK release date - although that hasn't stopped Her Majesty's finest from tooling up with the new handset in time for Skyfall this autumn. Carphone Warehouse meanwhile rightly assumes that not all of us are on secret agent salaries and should be offering the new phone for free on a reasonable £26 a month contract with Orange. Alternatively, you can pony up £29 a month for a free Xperia T on an O2 contract. Prices aside, this is undoubtedly Sony's flagship piece of smartphonery. Built around a 1.5Ghz dualcore processor with 1GB RAM, the Xperia T has a 4.6-inch 1280 x 720 display, NFC, PlayStation Certification and the ability to remotely control your Aston Martin. When can you get hold of one? Sony still aren't saying, although our chums over at TechRadar did manage to get an admission that the Japanese firm is on track to deliver "before the end of the month". Rumours of interrogation via a crotch-focused laser are, however, unfounded.